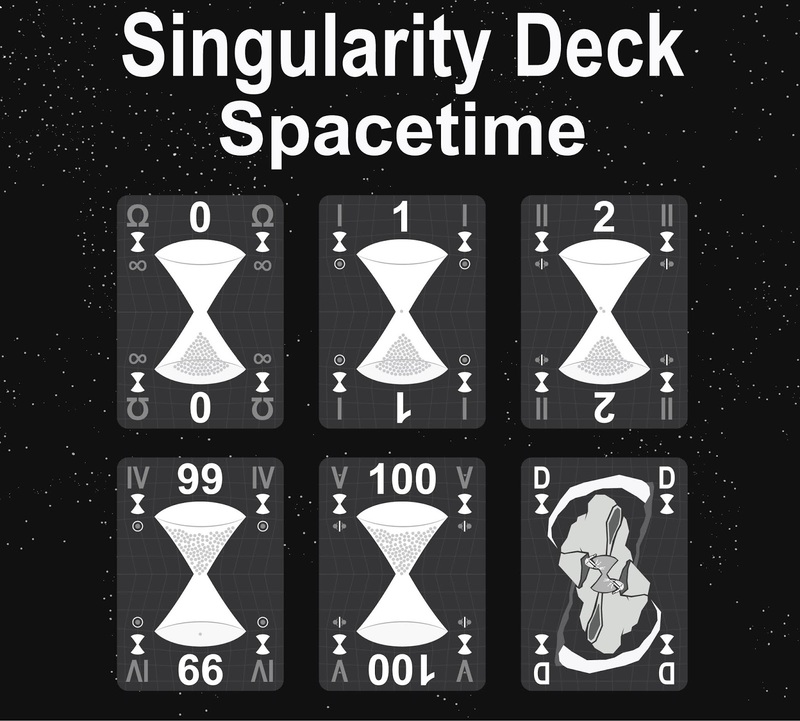 Each card depicts grains of sand falling down the hourglass starting with 100 grains and dropping down to 0. The alpha card in this set is the 100-rank card and the omega is the 0-rank card. 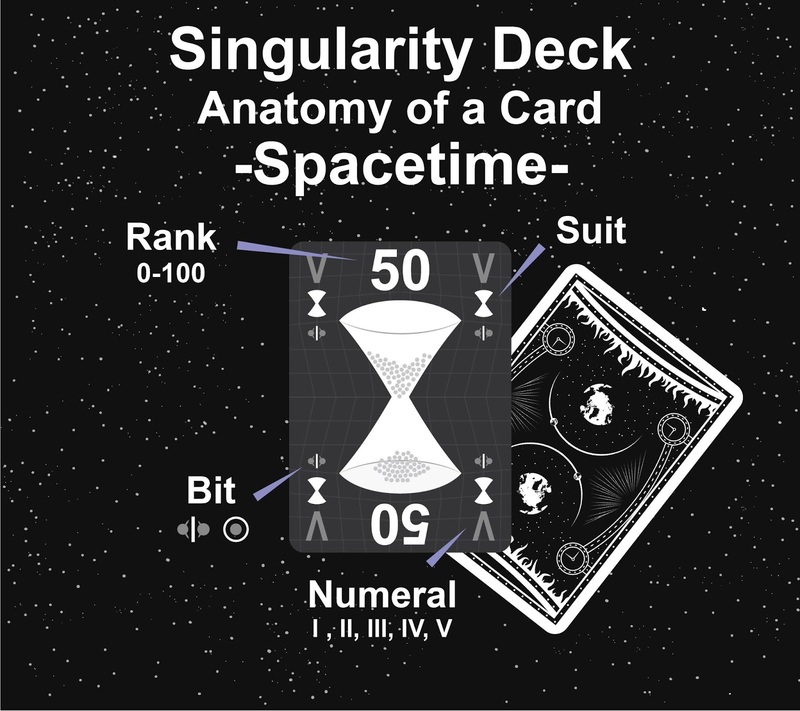 Each card in the Spacetime Set has a primary rank from 0 to 100. It includes two copies of the 0-rank and 100-rank cards. Each card also has a secondary rank of I through V in roman numerals (20 cards with each numeral). 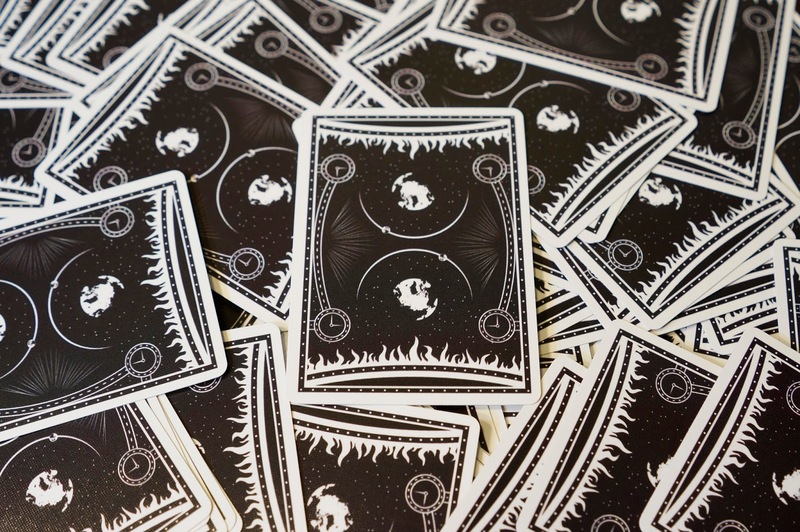 Additionally, each card has a bit symbol which can be interpreted as either a 0 or 1(looking at the white part), or as a 1 or 2 (looking at the number of circles in the symbol).